Last summer, Harvard University Press  (HUP) asked a book designer to create a T-shirt for its softball squad’s intramural season. The front of the shirt bore the expression r > g, signifying that the rate of return on capital (r) is greater than the rate of growth in income (g)—the central thesis of Capital in the Twenty-First Century by French economist Thomas Piketty, which HUP’s Belknap Press had published in April. Capital had leapt to the top of The New York Times bestseller list for hardcover nonfiction and stayed on the list for 22 weeks. It continues to sell robustly worldwide in 30 languages, and in English alone there are nearly 500,000 copies in print—the fastest-selling book in the press’s nearly 102-year history. The success of Capital is astonishingly unlikely. Acquired by London-based HUP editor Ian Malcolm, the book made French bestseller lists in 2013, but there were only about 40,000 to 50,000 copies in print there. “We knew it was an important subject and an important book, and he had data no one else had,” says William Sisler, HUP’s director. “But it was 700 pages by a French economist, so we had relatively modest expectations of it doing especially well in the United States.” Still, the press made Capital its lead book for spring 2014, and commissioned a translation by Art Goldhammer, an associate of Harvard’s Center for European Studies. Capital’s watershed moment came when Paul Krugman—Nobel laureate in economics and op-ed columnist for The New York Times—analyzed it for The New York Review of Books and began his March 23, 2014, Times column by declaring it“the most important economics book of the year—and maybe of the decade.” Print and television coverage of Piketty and his book spread rapidly. “It captured the zeitgeist,” says Sisler, referencing broad public interest in inequality, “one percenters,” and the Occupy Wall Street movement. At one point, HUP had to print in England and India, as well as domestically, to keep pace with demand. Electronic publishing can definitely reduce costs and extend market reach: HUP is expanding its electronic offerings, most recently with such major projects as the digital version of the Loeb Classical Library (see “Loeb Classical Library 1.0,”  September-October 2014) and the Emily Dickinson Archive, published in 2013 in collaboration with Houghton Library and the Harvard Libraries. But 90 percent of HUP’s revenue still comes from selling physical books. “It’s not going to be all digital, all the time,” Sisler says. “Physical books are here to stay, and for a good reason.” Darnton even suggests that, “Far from being enemies, the online and printed versions of a book are allies.” Readers who own a digital edition, he says, may also buy the printed book “to annotate it and put it on a shelf beside related books.” And many simply prefer the experience of reading pages rather than screens. Hence, the reshaping of academic publishing matters—not just for the book publishers, but for the progress of scholarship. The current reduction in library purchases of specialized titles, for example, is squeezing monographs out of the market, and in this way affecting the academic job market. A monograph has typically been a young scholar’s first book, often developed from a doctoral dissertation. Although uncommon in academia prior to the 1920s, monographs served as a staple of tenure reviews in American universities in the second half of the twentieth century, especially in the humanities. Academic presses now publish many fewer of them, and their disappearance creates a dilemma for junior scholars already worried about the scarcity of jobs: if there is no monograph, what evidence do you adduce to support your case for tenure? Sisler spins a hypothetical story that illustrates the tensions and paradoxes between publishing and academic appointments. “You’ve written a dissertation on James Joyce, and I’m an acquiring editor,” he says. “But there have been three recent books on Joyce and there is no room in the market for another, so I pass. Yet, all that your tenure committee hears is, ‘They rejected your book on Joyce.’ This could happen at several publishers; maybe your dissertation adviser steered you into an area that is over-published. Whose fault is that? Maybe a more sophisticated adviser would have guided you toward a better choice of subject. This is a very real thing, and it has a lot to do with getting a job.” The tenuring process will likely need to adapt to these contractions in monograph publishing, and quite likely move to embrace digital media. Why are university libraries now buying less than half as many academic books as they did in the 1980s? 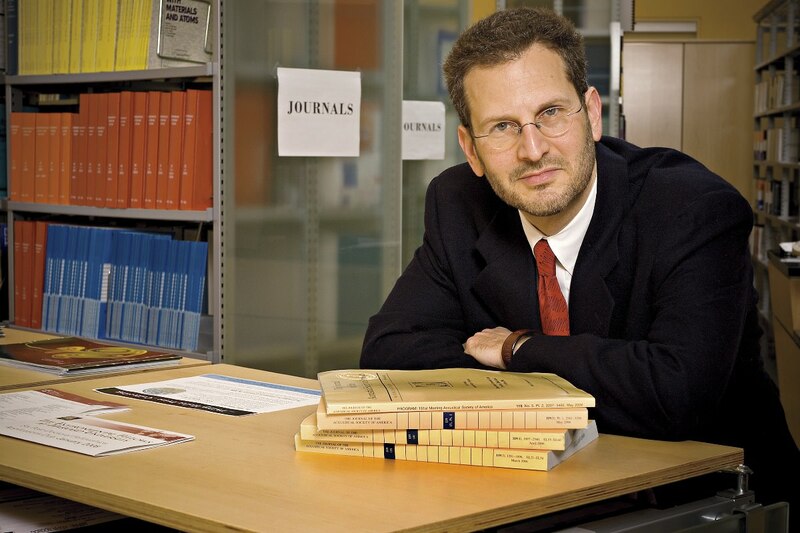 One big reason is the runaway cost of academic journals: their subscription prices have risen at triple the rate of inflation for the past three decades, says Stuart Shieber, Welch professor of computer science and faculty director of the Office for Scholarly Communication  (OSC), created within the Harvard Library in 2008. Annual costs of $4,000 per title are not unusual, and subscriptions for some scientific periodicals are many times that—even though most now appear solely online, sparing their publishers the costs of printing and distribution. The rates charged institutions—at these prices, usually the only buyers—are generally much higher than those charged individual subscribers, a nearly extinct species. Open Access (OA) is a major weapon in that fight. Peter Suber, who in 2013 succeeded Shieber, who was founding director of the OSC, literally “wrote the book” on open access. Suber arrived at Harvard in 2009 as a fellow at the Berkman Center for Internet & Society, and has led its Harvard Open Access Project  since 2011 (see Harvard Portrait ). His 2012 book Open Access (MIT) offers a comprehensive guide to the global movement to let scholarly findings (and other documents and media) circulate freely to anyone connected to the Web. “Open Access (OA) literature is digital, online, free of charge, and free of most copyright and licensing restrictions,” he writes. It is also a way to combat the costs of many scholarly journals. In 2008, Harvard created its own OA repository to ensure access to the findings of the University’s faculty: Digital Access to Scholarship at Harvard (DASH ), a service of the OSC (see “Open Access,”  May-June 2008). 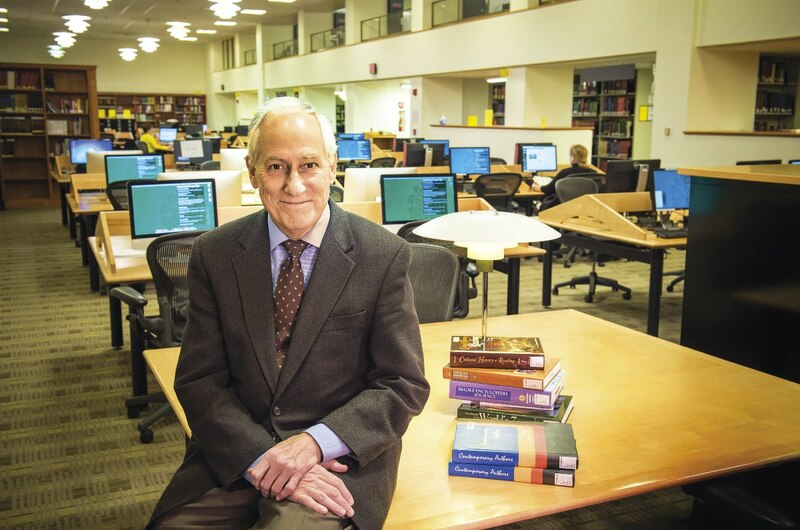 “We created a repository where all professors are required to deposit their scholarly articles,” says Darnton. “They are accessible to anyone, and it’s a huge success all over the world.” Indeed, more than 100 universities worldwide now have OA policies, at least 60 of them based on or inspired by Harvard’s (which apply only to articles, not books, and so pose no threat to academic presses like the HUP). Each of Harvard’s faculties individually adopted an open-access policy of requiring every professor to deposit an accepted author manuscript of any scholarly article. In 2008, the Faculty of Arts and Sciences (FAS) was the first to adopt an OA policy, after lengthy debate in which some professors insisted, in effect, “You can’t tell us what to do with our work,” according to Darnton. Nonetheless, the ultimate vote for approval was unanimous. The FAS resolution allows anyone to opt out, although, he says, a “moral mandate” for solidarity with one’s colleagues discourages that. Some prestigious journals with large circulations like Science and Cell refuse to publish articles that have been deposited in an OA repository. Naturally, Harvard has no wish to stop its faculty members’ work from appearing in such important outlets, so the Harvard OA policies allow faculty to waive the license they grant to Harvard for any particular article. The DASH program enabled a pilot study on one question raised by open access. “Right now, the only people who can read most scholarly articles are those within the umbrella of library subscriptions,” says Shieber. “They are going to be scholars, faculty, researchers, and so on. Is there a demand for these articles outside of that group? Some people say ‘No’—it’s a kind of refrain you hear from publishers, who say that everyone who wants and needs to read these articles has access to them. Consider for a moment the business model of traditional subscription journals. Scholars contribute their articles to the journals for free; they receive no royalties or other revenue. Scholars also act as peer reviewers and provide other editorial services to the journals on a pro bono basis. In general, authors pay nothing to submit or publish articles in subscription journals. Both commercial and nonprofit publishers participate in the journal market. Most commercial publishers tend to be more aggressive than their nonprofit counterparts in maximizing revenue, though there is variation among both types of publishers. As noted above, nearly all journals now appear online. Aside from medical journals and a few high-profile publications with wide circulation like Science and Nature, advertising is not a big revenue source for academic journals in general. Even those that take in significant ad revenue make most of their money from subscriptions. A research university subscription to the New England Journal of Medicine for 2015, for example, is $5,040, up more than 6 percent from 2014 prices. Yet the scholarly journals of the world are doing fine: they remain a multibillion-dollar industry. “Their publishers are doing what they are supposed to do,” he explains. “The big ones are large, publicly traded companies with a fiduciary responsibility to maximize profits. They happen to be operating in a market that is dysfunctional in a way that publishers can take advantage of, to the detriment of the social good—and that’s a problem. Access to journal articles takes place in a monopolistic market. A second source of market dysfunction arises from within academia. Scholars naturally want their work disseminated in the most prestigious journals. They also want their research available to the widest possible audience. But the most prestigious journals are not available to those without the financial means to access them, and the scholar-authors currently have little incentive to publish their work in universally available, low-cost OA alternatives (and might even have to pay to appear there—see below). How to overcome these problems in the market for publishing scholarly ideas? Subscription journals charge their fees on the reader’s side; the vast majority of them charge nothing on the writer’s side. Only a few “glamour” subscription periodicals like Nature and Science—maybe a dozen of the 25,000scholarly journals—take in revenue on the writer’s side. 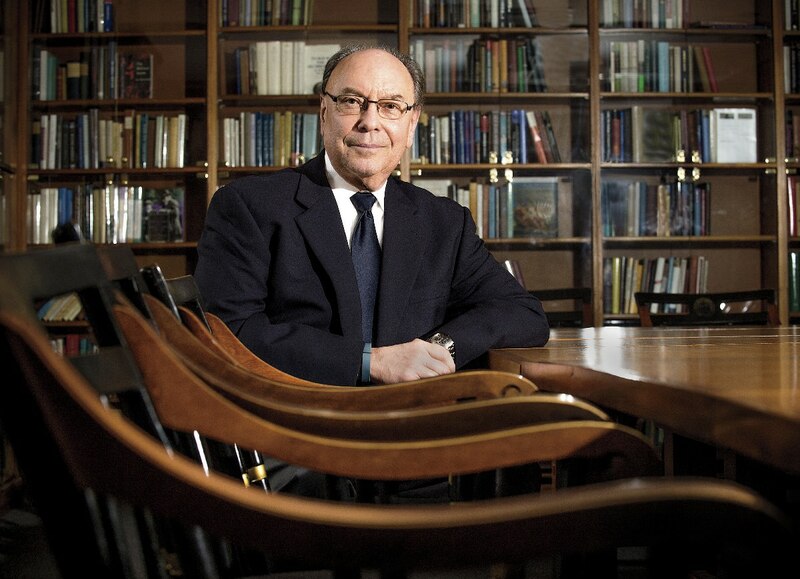 Open-access journals have existed since the 1990s, and Shieber says that in contrast to the hyperinflationary rates charged by subscription journals, “we are seeing reductions in prices for OA outlets.” That can take the form of lower APCs, or new arrangements like that of PeerJ, a journal that charges a one-time “membership fee” of $100. Overall, the publisher’s revenue (overwhelmingly from annual subscription fees) per article in a subscription journal averages $5,000, which makes even the highest APCs (in the $3,000 range) look like a bargain; OA journals typically charge APCs of about $1,000 per article, as in the example above. The international, peer-reviewed OA journal PLoS ONE publishes primary research in any scientific discipline—tens of thousands of articles per year—and is so successful that it alone is publishing about 3 percent of all papers in the life sciences; its APC is $1,350 and it costs nothing to read. It attracts that high volume, Shieber says, by providing excellent publishing services to its authors at reasonable cost. “Publishing is evolving very rapidly,” says the Harvard Library’s Sarah Thomas. “We’re having a kind of shift away from formal publications that are relatively static. In the old days, a published book would be bound between covers and sit on the shelf for centuries, maybe with some marginalia added. Now publishing has become dynamic: not individual authors, but multiple authors acting to create across geographical regions and across time. Think about scientific publication. For centuries, the journal article has been the form in which scientists communicated. Now, it’s more likely to be an idea put out online by multiple labs, and it may change from day to day. You get alerts; there will be new information added; you’ll get corrections.” And academic careers may assume new forms. A few years ago, art historian Shearer West, now head of the humanities division at the University of Oxford, observed that in the future, scholars will publish one great book, and one great digital project. “Experimentation is what we need now,” says Jeffrey Schnapp, professor of Romance languages and literatures and an affiliated professor to the Design School’s department of architecture. Schnapp is founder and faculty director of metaLAB (see “The Humanities, Digitized,”  May-June 2012, pages 43 and 74), a research and teaching unit that explores “networked culture” in the arts and humanities. In mid 2014, it launched an experimental, design-driven book series with Harvard University Press entitled “metaLABprojects.” Among the first set of books is The Library Beyond the Book, bySchnapp and Matthew Battles, a research fellow at the Berkman Center: an essay on the past, present, and future of libraries that exists as a print book, a digital book, and a deck of cards that captures its “provocations.” A related documentary on the Harvard Library’s book depository is on the way. Craig A. Lambert ’69, Ph.D. ’78, has just retired as deputy editor of this magazine (see “And Having Written…” ).